A home inspection is a thorough visual examination of the structure, systems and components of a home by an experienced, objective professional home inspector. Homebuyers now entering the Michigan marketplace view home inspections as a way to gain valuable information about the biggest purchase of their lifetime. It helps them to determine whether there are any major defects or system inadequacies at the time of purchase and will educate them about the construction, operation and maintenance of the home. In most cases, home inspections are performed after the seller has accepted a sales contract, conditional upon a satisfactory home inspection. The home inspection can usually be scheduled within a couple days. The homebuyer is encouraged to attend the home inspection and follow the home inspector, so that he/she can see firsthand the workings of the home, ask questions about any problems or defects that may be discovered or to discuss potential desired changes or improvements. The home inspector’s service to the purchaser is primarily one of education. The goal of home inspectors is to provide the purchaser with a better understanding of the physical condition of the home and what repairs or improvements may be needed. In many cases the information obtained from the inspection can save the homebuyer hundreds or thousands of dollars. After the inspection is completed, a written report is prepared for the homebuyer, documenting the results of the inspection. The home inspection should not be confused with an appraisal, a municipal code inspection, an environmental audit, or a homeowner’s warranty. 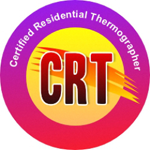 At the end of the inspection all our findings are recorded in a comprehensive computer generated report that is written specifically for your home and emailed to you. The report is narrative in nature, and filled with descriptive photos and videos, so that you can have a better understanding of the exact nature of any defects, maintenance issues, and any corrective measures that need to be taken. 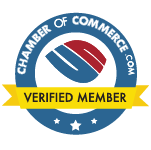 Justin is a detailed, thorough, professional home inspector, who’s main objective is to provide you with expert knowledge and guidance to help assist you with the purchase of your new home. A complete home inspection should cover all of the major systems of a house, including structure, exterior, roofing, electrical, heating, cooling, insulation, plumbing and interior. 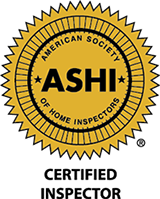 At a minimum, an inspection should meet the Standards of Practice of the American Society of Home Inspectors® (ASHI®). Premier Home inspection makes every attempt to exceed the ASHI Standards of Practice.